Choosing cremation is a way to honor your pet and keep them close long after they have passed on. You can choose to have a special remembrance or farewell service in our Memorial Room. We can arrange to pick up your pet from your home or from your veterinarian, in our specially prepared Hearse. 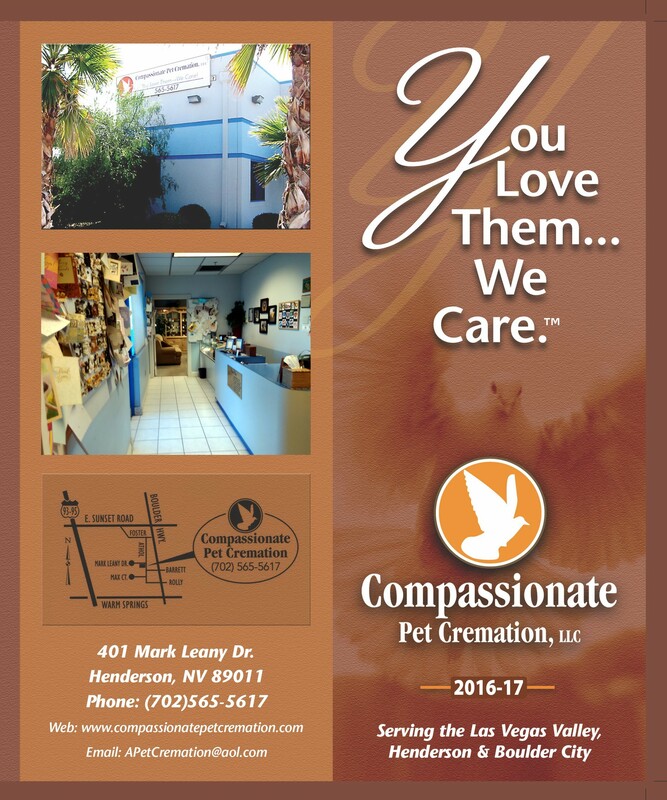 At Compassionate Pet Cremation, we respect your pet’s dignity by treating them with care and compassion, before, during, and after cremation. 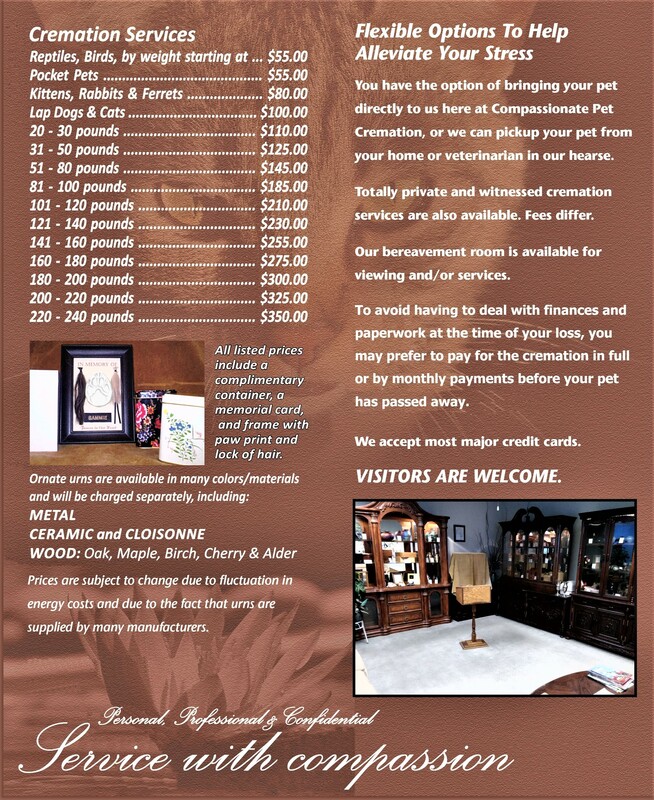 You will be provided with a special plaque, a unique tribute honoring your pet, along with a simple urn for their ashes. 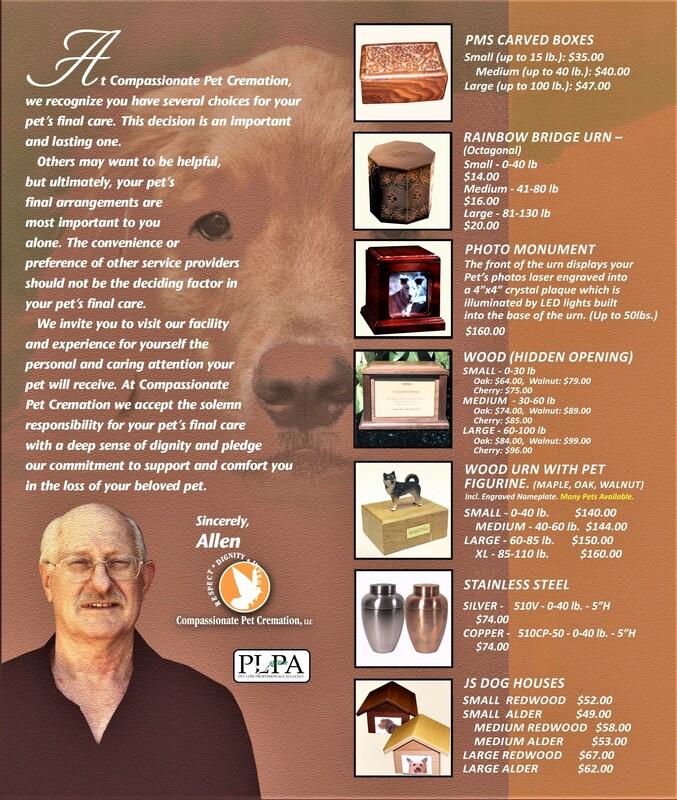 Should you decide to honor your pet with a distinctive urn, we have a large selection on hand that you can select from. You can view our selection on our website. 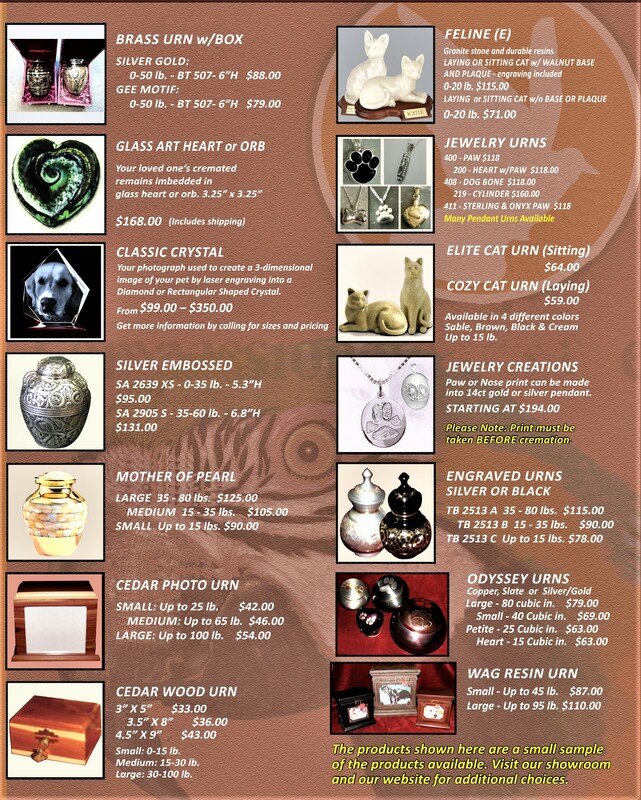 We can also special order additional items to help you remember your beloved pet.